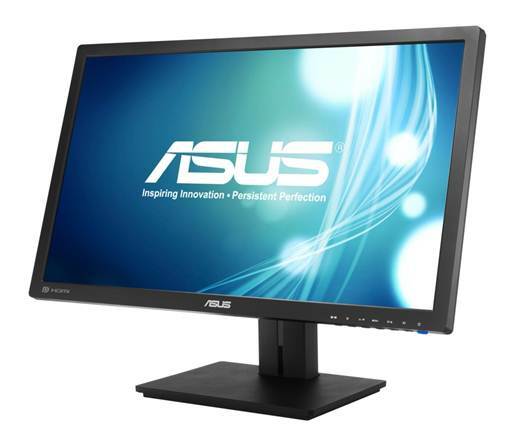 Going head to head with View- Sonic’s VP2770-LED is this Asus, another 27m iPS monitor with 2360 x 1440 resolution. Like its similary specified rival, it’s a highly adjustable screen with excellent picture quality, and is ideal for working on multiple documents or with complicated applications such as video editors or audio production applications. 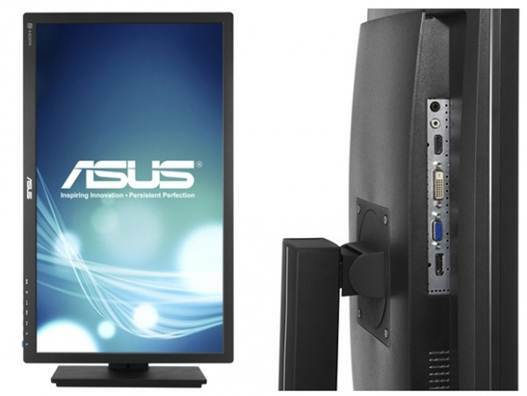 Going head to head with View- Sonic’s VP2770-LED is this Asus, another 27m iPS monitor with 2360 x 1440 resolution. While users of iMacs or Cinema displays will be accustomed to 2360 x 1440, if you try it after using a plain old 1920 x 1080 27-incher you’ll find it hard to go back: the higher resolution means there’s so much space to arrange your windows that you may stop feeling the need for a second screen. The higher resolution means there’s so much space to arrange your windows that you may stop feeling the need for a second screen. The PB278Q makes it easy to get comfort able with your monitor, thanks to height and tilt adjustment, but it doesn’t have so much height adjustment as the ViewSonic screen and doesn’t pivot from side to side, so you have to rotate the whole monitor on its stand instead. It also rotates into portrait mode. The understated dark grey bezel looks smart, and it feels like a good-quality bit of kit, as you’d expect at this price. As with the ViewSonic diplay, there’s a choice of DVI, VGA, 11DM! and DisplayPort inputs. Unlike its rival, though, it has no USB hub, which is annoying if you have few enough USB devices to have got away with plugging them into your monitor. Built-in 3 watt stereo speakers cater for basic audio. Built-in 3 watt stereo speakers cater for basic audio. We were impressed with the image quality out of the box. Our dispcalGUl calibration software and Spyder4Express colorimeter reported the screen as displaying 98.4% of the sRGB colour gamut at its default settings, beating the ViewSonic hands down; and once we’d calibrated the Display, it was within 99.1% of sRGB. Even if you don’t calibrate the screen, you can be confident that you’ll be getting good colour accuracy, by contrast, you really need to use a calibrator on the ViewSonic screen to get the most out of it. The figures were borne out in our subjective image tests, where we could find little if anything to complain about. In our solid colour tests, colours were saturated and even across the monitor’s surface, and blacks were deep with no leakage from the backlight. In our image tests, we saw plenty of detail in both light and dark areas, showing off the screen’s impressive contrast. The PB278Q has superb colour accuracy even at its default settings, so, while we’d still recommend using a calibrator to get the most out of a display in this price bracket, you can still be sure of getting a decent picture without specialist equipment. It doesn’t have as much physical adjustment as the ViewSonic VP2770-LED, and lacks the USB hub, but it’s about $233 cheaper at current dealer prices. If you want pivoting and a very high stand, ViewSonic’s screen is the one to go for, but if you can do without the fancy extras, the PB278Q is the one to buy.